I challenge you to find a cleaner, better maintained, and more ready-to-go boat than "Mo Betta" - any age. She was used sparingly by her original owner, and was recently acquired by her 2nd and current owner. She now has just 114 original hours. Tower rigged, with modern, direct injection Volvo D4 diesel engines, and classy Release Marine helm chairs. 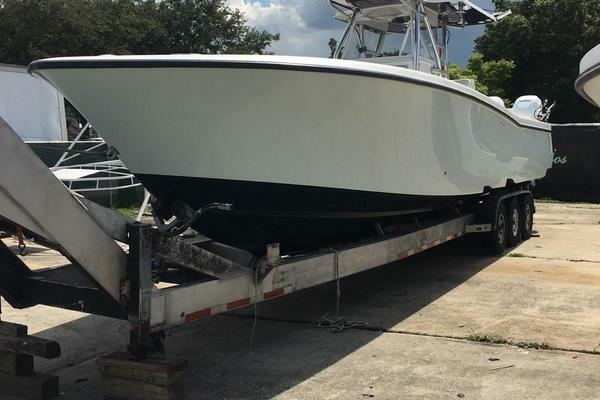 If you are looking for a fresh, feels like new boat, but without the crazy new boat price, this one is for you. First buyer who sees her will buy her, so don't delay. West Florida Yachts would love to guide you through a personal showing of this 28' Carolina Classic 28 2007. This yacht for sale is located in Orange Beach, Alabama and priced at $157,500. For a showing please contact us by filling out the form on this page and we will get back to you shortly! Bridge Clearance with Tower: 12'0"